The Emmy-Award winning actress, 37, rocked a Cristina Ottaviano custom draped crêpe halter gown to the award ceremony which held at Radio City Music Hall. 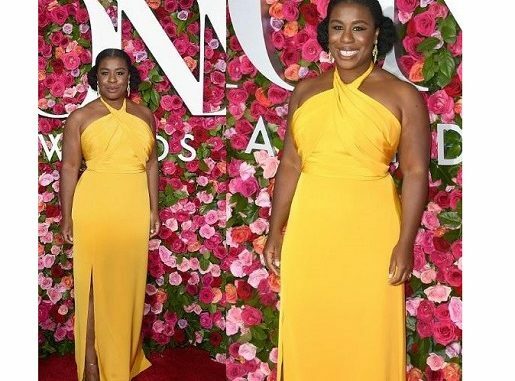 Uzo won an Emmy in 2014 for Outstanding Guest Actress in a Comedy Series. She was also pictured backstage with comedienne Amy Schumer, 37, who wore a sleeveless black dress.